La Llama Enterprises is a wholesale company based in British Columbia, Canada. Our products are sold all across Canada. We specialize in high quality Peruvian clothing made from only the finest alpaca fiber and pima cotton. Our line of products is varied and includes: Capes, Shawls, Coats, Long Sweaters, Cardigans, Scarves, Gloves, Hats, Throws, Rugs and Cushion Covers. All of our products are made of the finest alpaca and baby alpaca fiber available in Peru. Each piece is unique and hand-crafted with the utmost in care and dedication to detail, durability and comfort. We take pride in working together with local artisans in Peru. The alpacas that supply the luxurious fiber are all well maintained to ensure their protection and future preservation. We support sustainable manufacturing through fair trade practices. 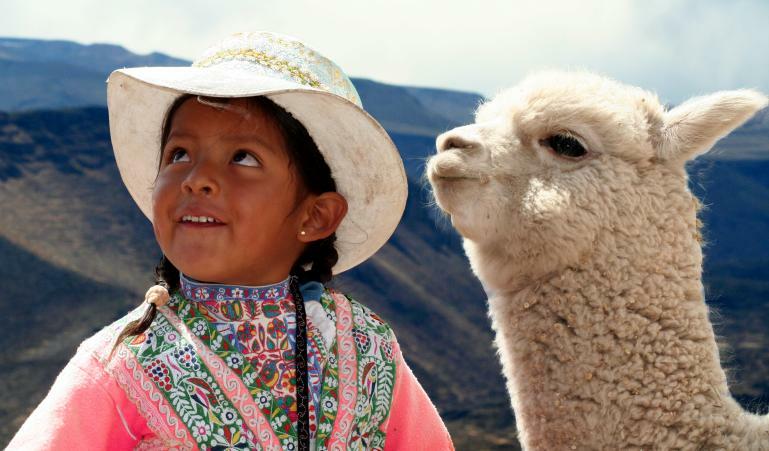 La Llama Enterprises support children�s charities in Peru and Canada. We invite you to explore our site and contact us with any orders or questions.